...and that's what I'm gonna do! I think I've mentioned this before...I'm half Peruvian, compliments of my Papa. And I have learned that the best part of being Peruvian is the food! Oh loveys! My mouth waters just thinking about it! Before living in Perú in my 20s, I didn't know how wonderful food could be. While I was in Lima, I lived with my aunt and my two cousins. They taught me, above everything else I am most grateful for, that food is an experience. 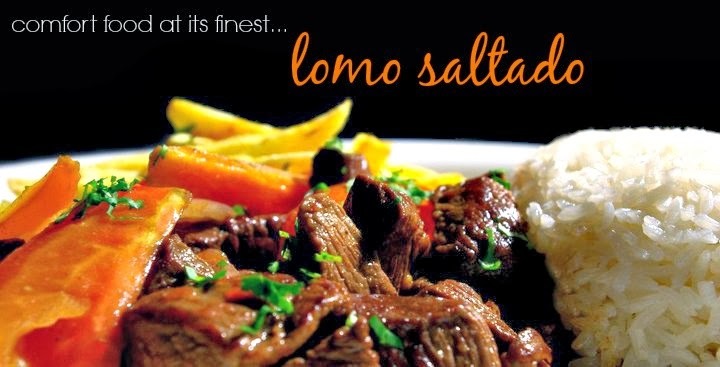 My younger cousin loved lomo saltado - a meat and potato kind of stir fry. It is now my absolute favorite Peruvian dish and my signature dish when going to a Peruvian restaurant! Living with my aunt and cousins was at times major culture shock, other times totally eye-opening, but most of all, a growing experience. In their home, I learned what it was to be a self-sufficient woman. I learned that some things were more important than others. As a woman, you must persevere and break through barriers that others put in front of you. There may be walls that will halt your pace, but all you need is a strong voice and character to break it down. They showed me strength, humility, and love without barriers. But, most importantly, I learned that you are born into the family you've got - there's no changing it. But what you do with that family and how you portray yourself to them (and everyone else, for that matter) is most important. Stand firm in what you believe and do what you must to be successful. But back to the food! Here you go! Go make it & enjoy the process of it all. Heat up 4 tablespoons of vegetable oil and fry in it the beef (tenderloin) in strips (about 2 1/2 cm., approx.). Season with salt, pepper, and cumin and incorporate the paprika and the oregano. Add the onions, garlic, chili pepper (pimiento), and the vinegar. Put the meat back and sprinkle with parsley. 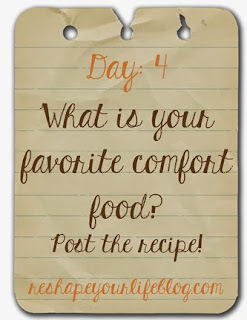 Serve meat and veggie mixture over the french fries and accompanied by white rice or rice/corn mixture. Told you your mouth would water! at Sarah's etsy shop, WMUD! That does sound really good. I have wanted to try Peruvian food for a while... You make it sound so incredible! This commodity explains some of the affidavit why Auto-Installers are recommended by us, if you are attractive at ambience up a WordPress website. Ambience up WordPress is accessible - it becomes wordpress website backups easier aback you accept an Auto-Installer in your arsenal. You can accept from abounding altered Auto-Installers for your Control Panel, but we acclaim Softaculous, Installatron and Fantastico. Previously, individuals needed to convey a lot of trade out request to direct money related exchanges, however numerous individuals presently utilize Mastercards and financial records to make their buys.